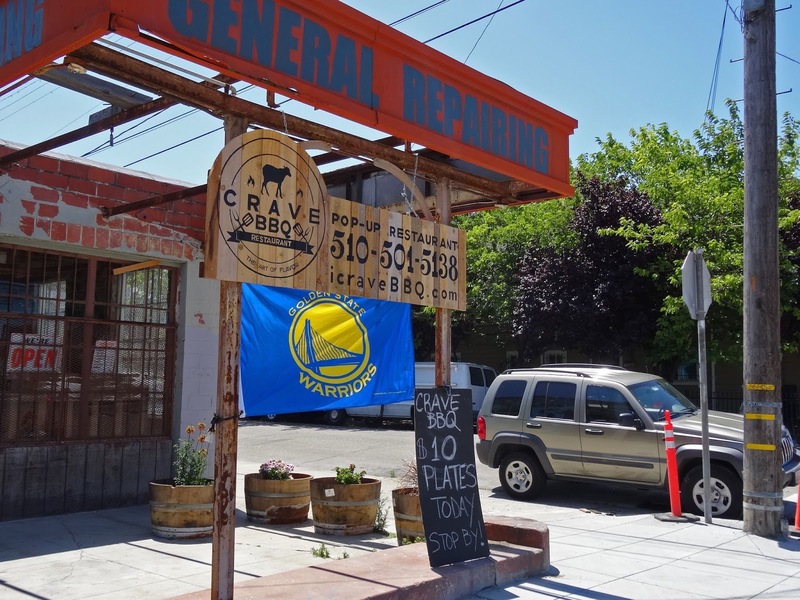 We travel to West Oakland California to experience ‘Crave BBQ Restaurant” a “Pop-Up” bbq restaurant run by Rashad and Chandi Armstead. Pop-up is the new craze in the restaurant world. 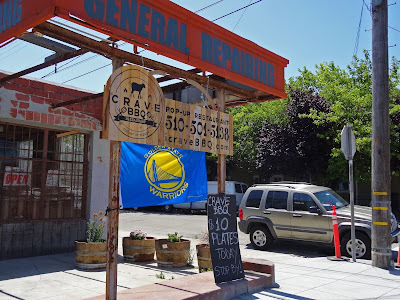 It takes a lot of money and dedication to open a brick and mortar restaurant and pop ups are a good way to test the water.. Crave’s temporary location is in an old converted gas station. They have to do all their food preparation in a commercial kitchen located at another site. They do have some smokers in the back to cook some of the meats. I find a parking spot right in front because you know I have parking karma. I do have only 45 minutes until my spot becomes a street sweeping zone. Let’s eat some bbq. The inside is fairly sparse of décor except for the menu board and some very nice art work by local artists for sale on the walls. There are a couple of tables outside for an urban dining experience. 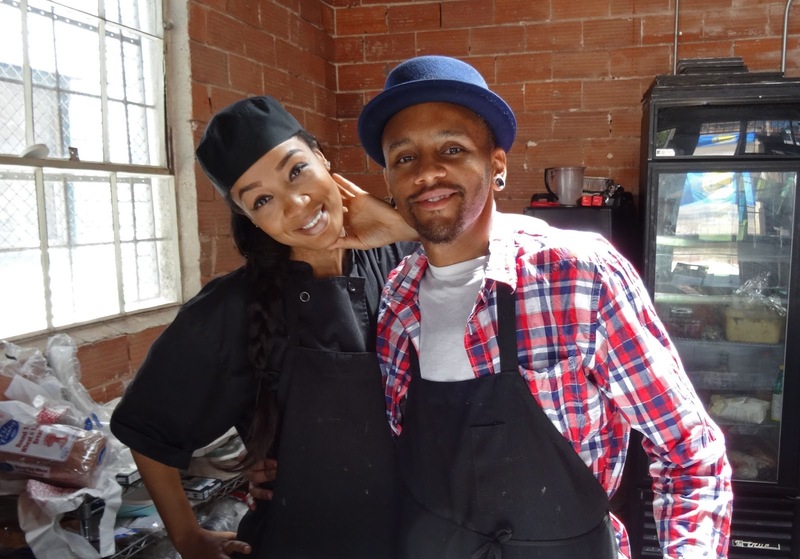 You place your order from the menu board and right away the owner Rashad prepares your food. Crave BBQ does not skimp on the proportions. This was one heavy box of meat. I ordered a plate called the “MVP”. This consisted of three meats and three sides. 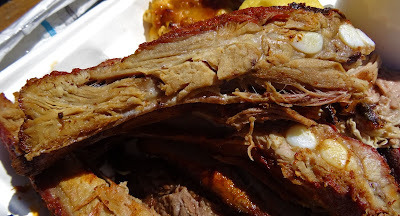 I chose brisket, pork ribs, pulled pork, potato salad, beans, mac & cheese and two pieces of corn bread. I chose to eat outside because it was a beautiful day. I will cut to the chase right away. This was a great bbq meal. 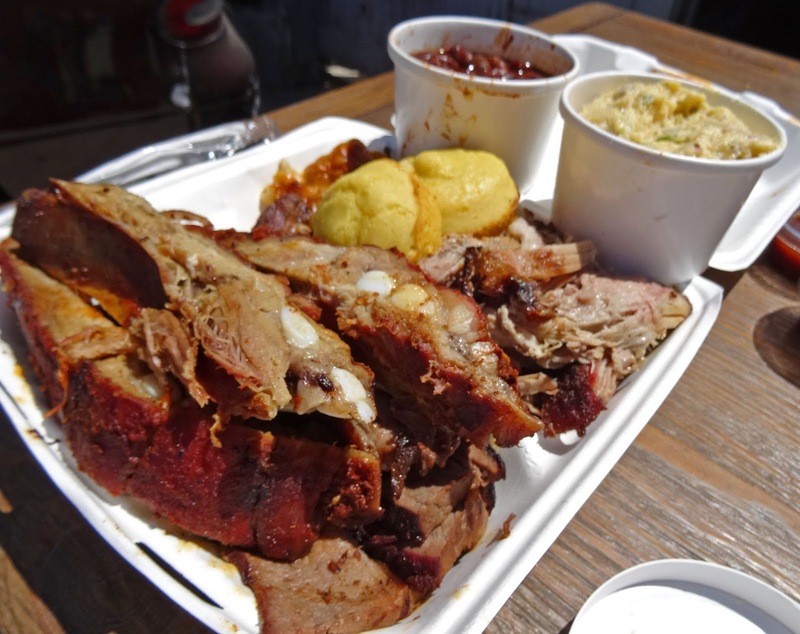 The meats were flavorful and there was a lot of attention paid to the side dishes. I really enjoyed the side dishes. The Mac & cheese had a crust of cheese that was out of this world. 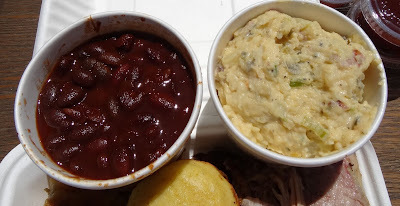 The beans were sweet but savory that had me ‘Crave’ing the next bite. The potato salad with it pickle twang was the star of this side dish extravaganza. This was comfort food at its best. Being a bbq judge I tend to be over critical of bbq meat offering. Is it fair for me to compare this to competition bbq? I do not think so. I enjoyed these meat offerings. With that said, the pulled pork had a bark that had great smoke and just the right combination of spices. 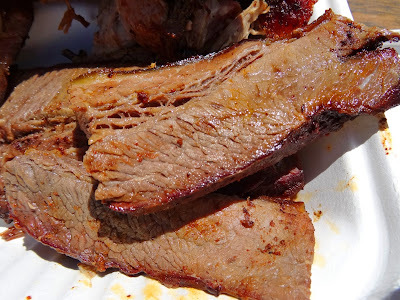 The brisket slices were a little inconsistent in tenderness. One slice was tough as shoe leather but the next could have possibly won a bbq competition. 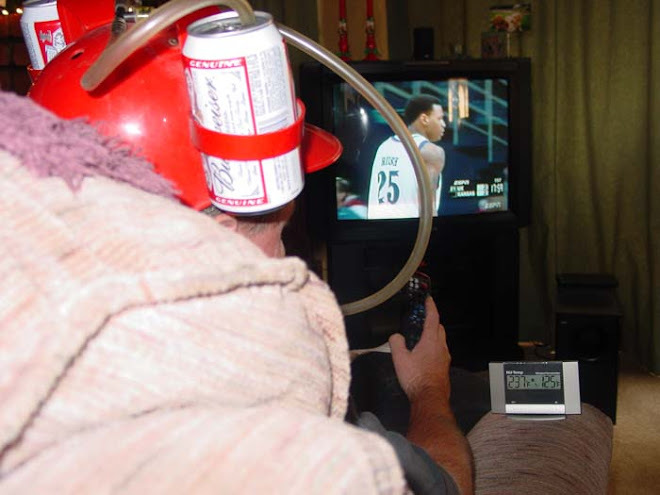 The smoke did not overpower but complimented. The ribs had a good spice rub that flavored this meat perfectly. It did fall off the bone. I asked Rashad what spice he used but would only tell me it had sugar and the rest was a secret. Fair enough. 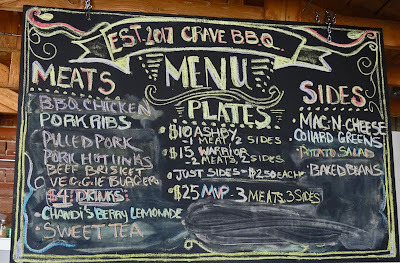 Crave BBQ has a lot going for it. The side dishes were spectacular. You know they are home made with care and love. 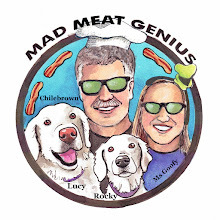 The meats were flavorful and I enjoyed them. There were some inconsistencies in tenderness but overall they were a hit. I ate these meats without sauce because they had plenty of flavor. House made bbq sauce was available but I passed because they were a little flat and fueled by liquid smoke. 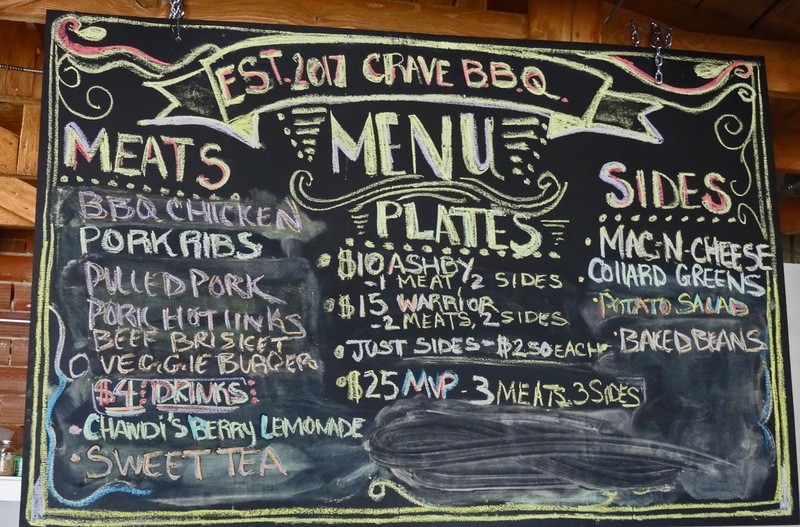 Crave is located in West Oakland which is an evolving neighborhood.. We wish Rashad and Chandi success with Crave BBQ Restaurant. That is high praise coming from a BBQ judge so it must be good. We have a local BBQ place that is becoming popular in a converted gas station and I think they have only outdoor seating. Big Dude, Crave's location and building definitely has some challenges. I believe this world will be a better place if they succeed. I enjoyed my meal. Making me hungry with those photos! Aaron, Give me a shout and I will join you. Greg, Thanks. I am hungry too.